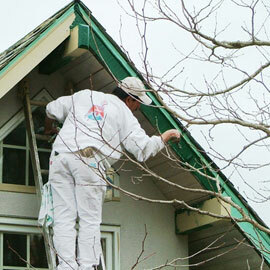 Many of our jobs require wood to be replaced because of dry rot. 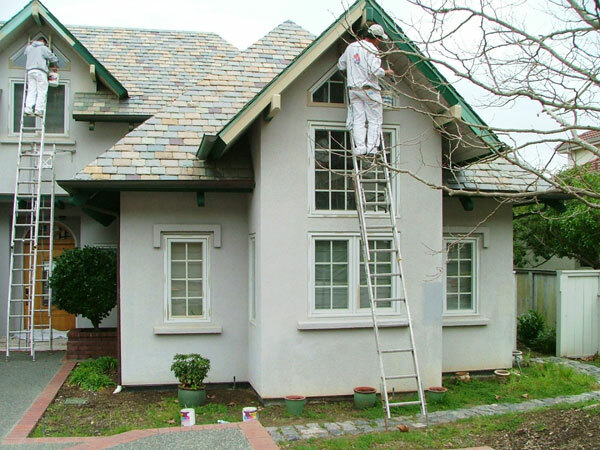 This type of work requires expert analysis in order to select the right materials for a superior look and long lasting protection. 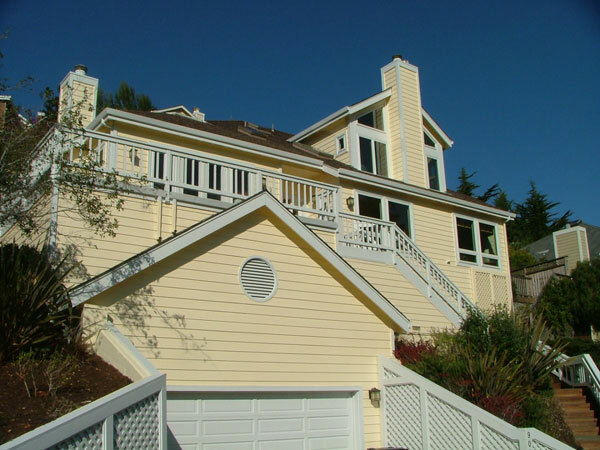 Boeck & Associates Painting Company has a 2000 square foot warehouse in North San Rafael where we do custom painting on doors and cabinets. 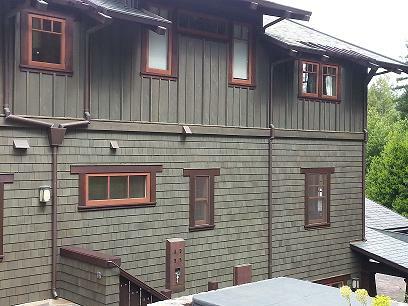 Completed an exterior paint job July 2018. 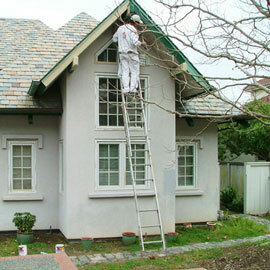 We love our work and we are good at it. 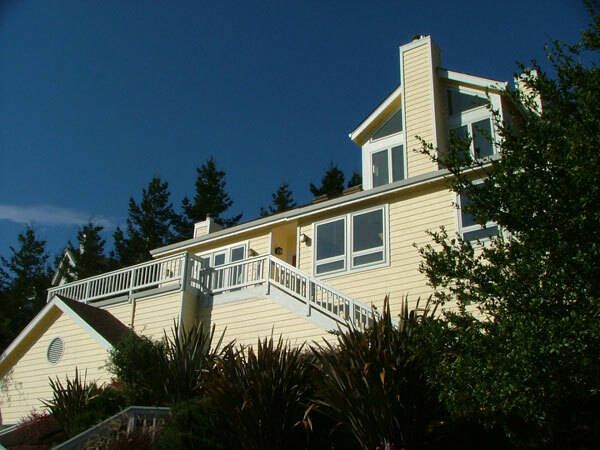 August 2014 – Coastal Living Magazine: This article appeared in the August 2014 issue of Coastal Living. 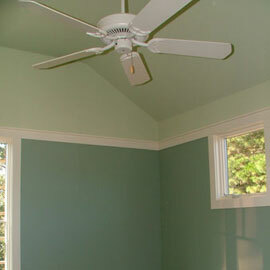 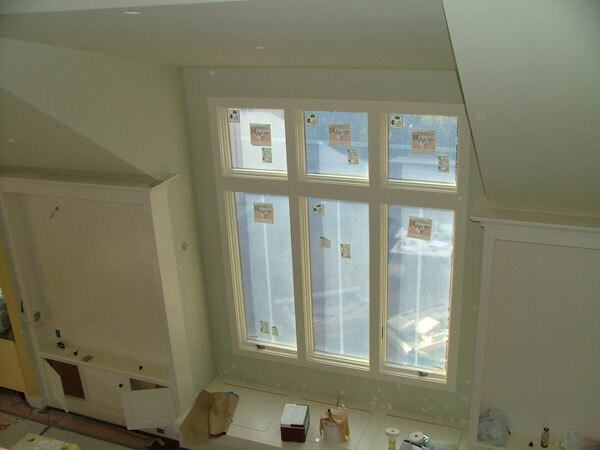 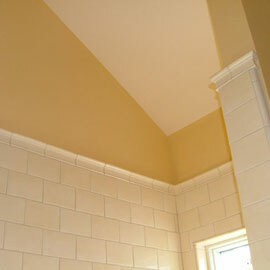 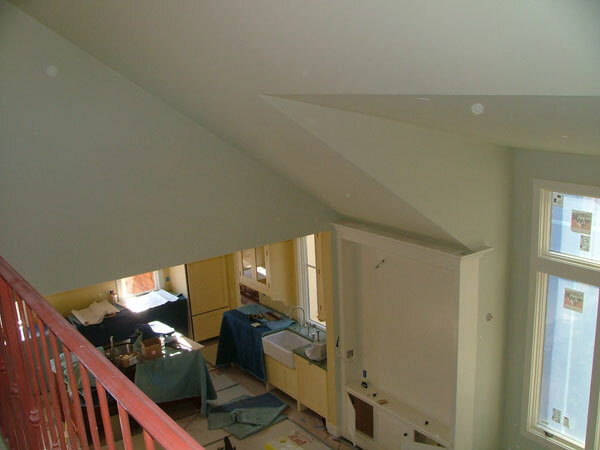 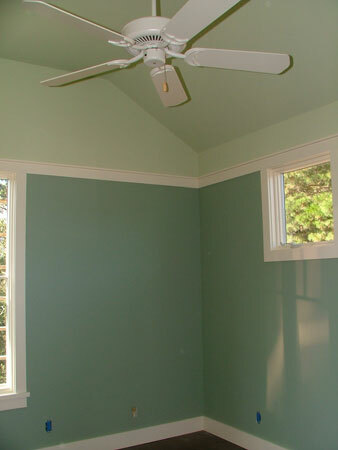 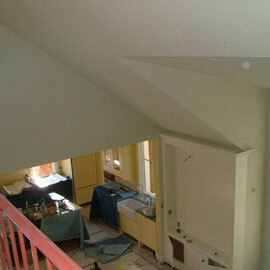 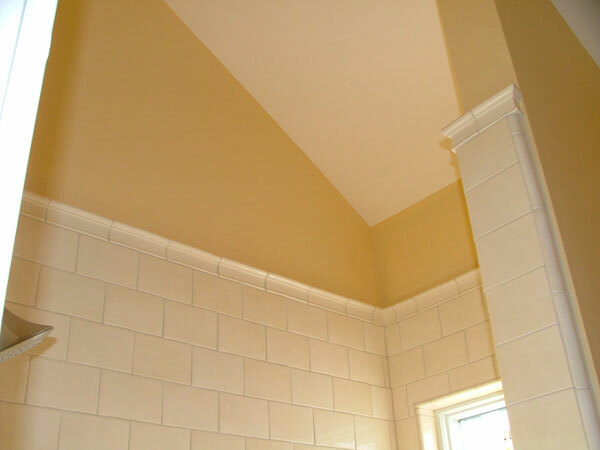 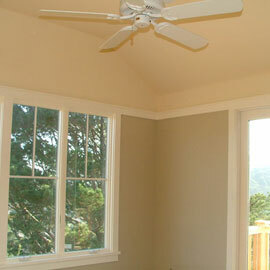 Our company completed the interior and exterior painting and provided color consultation. 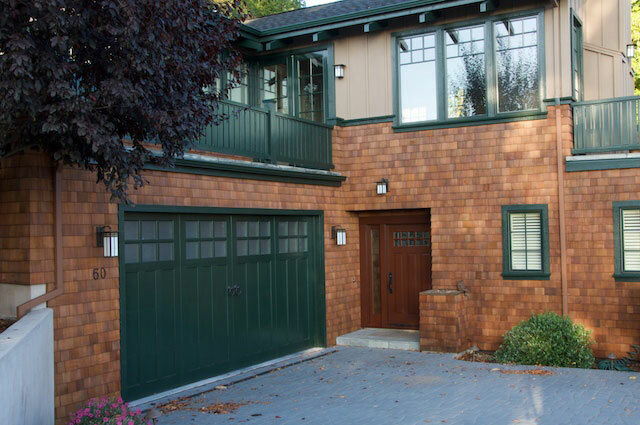 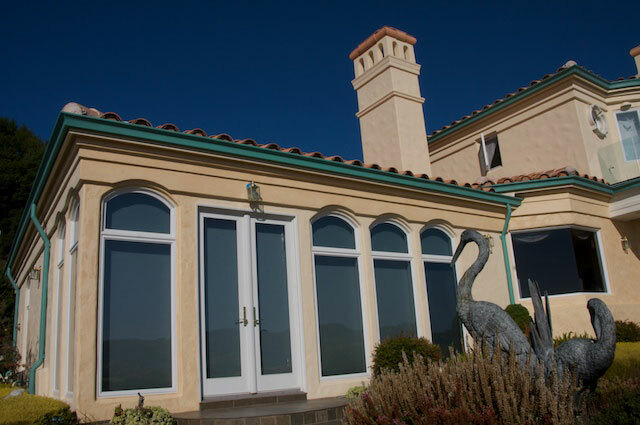 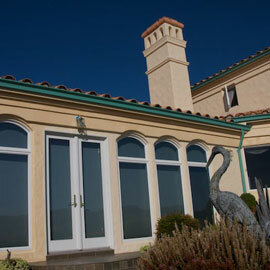 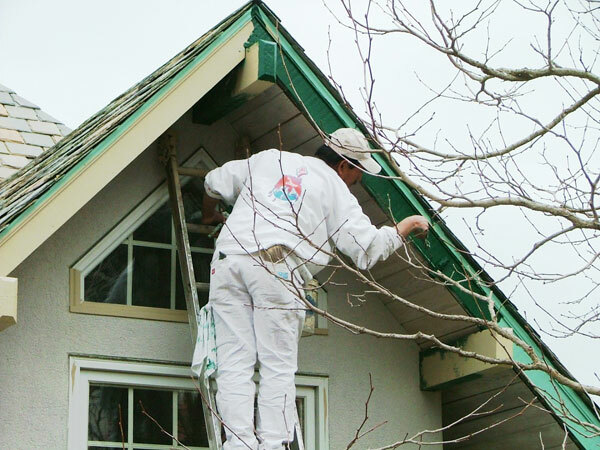 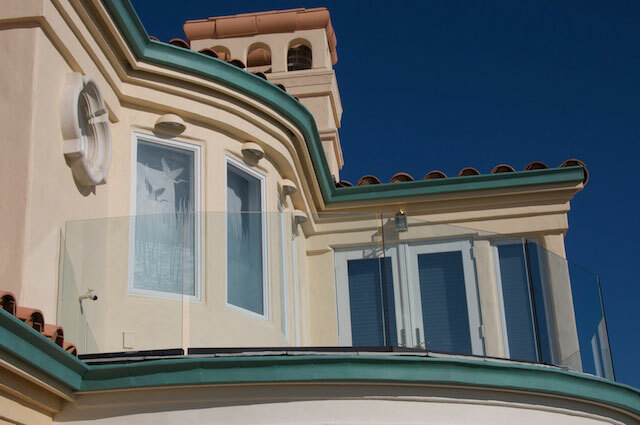 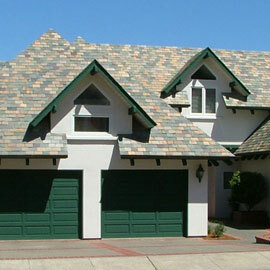 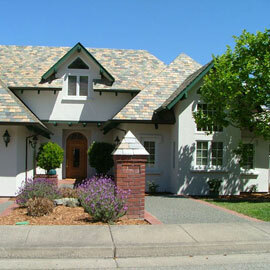 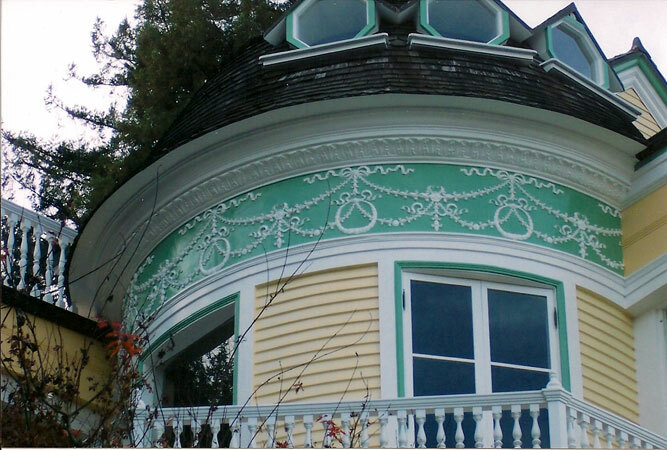 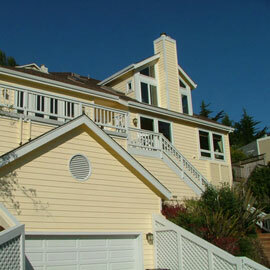 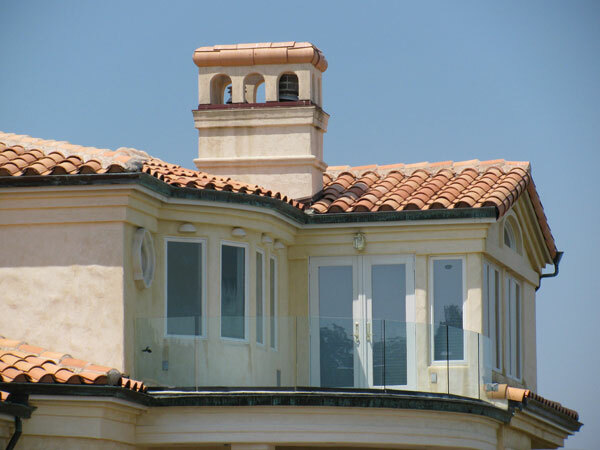 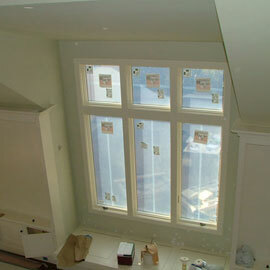 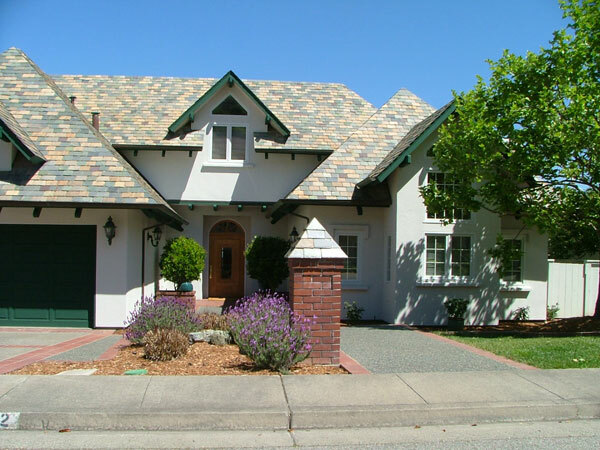 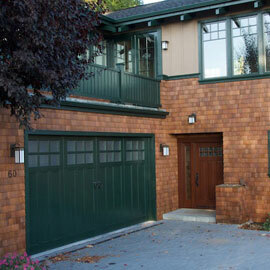 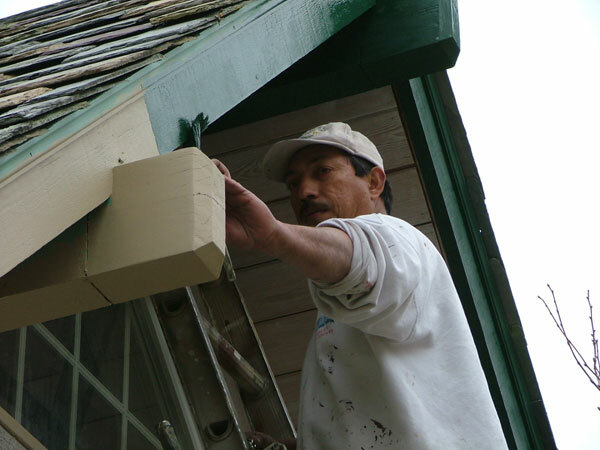 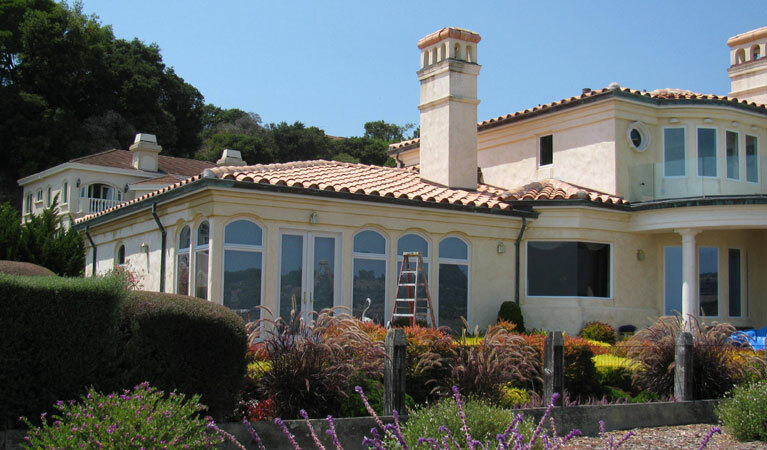 We have painted numerous homes along West Shore Road and in the Belvedere Tiburon area. 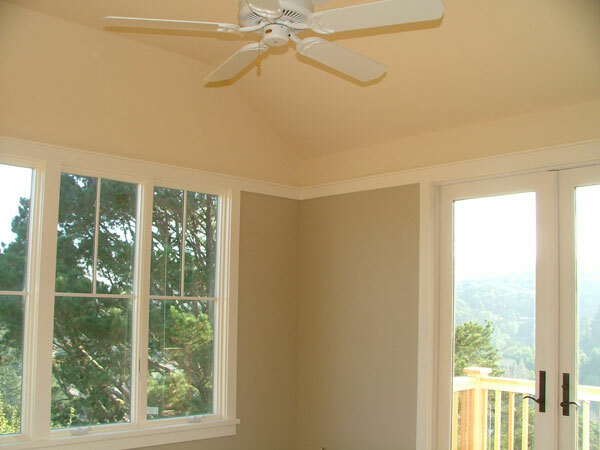 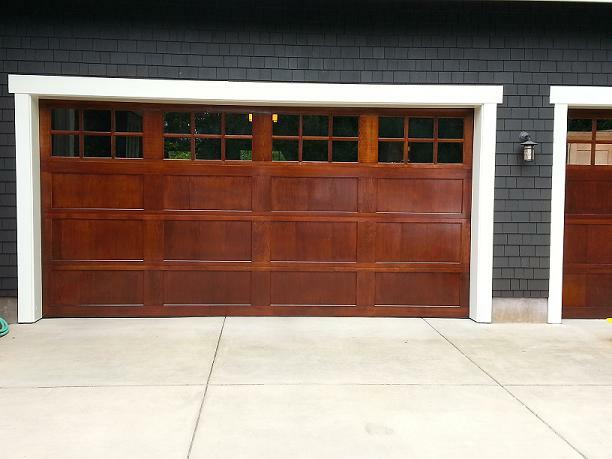 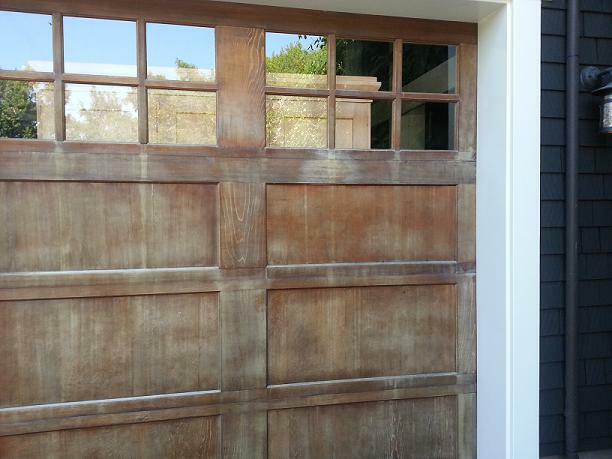 Mill Valley Summer 2014 ~ Benjamin Moore Arbor coat semi transparent stain. 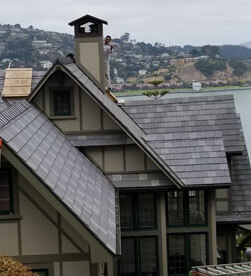 May 2012 - Falkirk Mansion in San Rafael: We are proud to have been selected as the painters for the restoration of this significant historic landmark building. 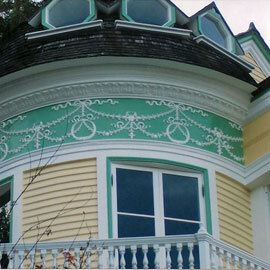 It had been nearly twenty years since it was last painted. 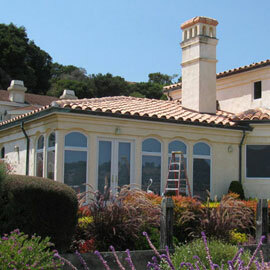 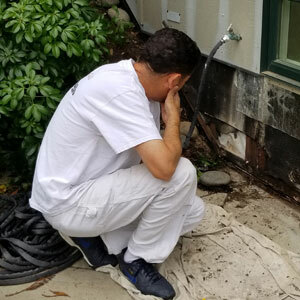 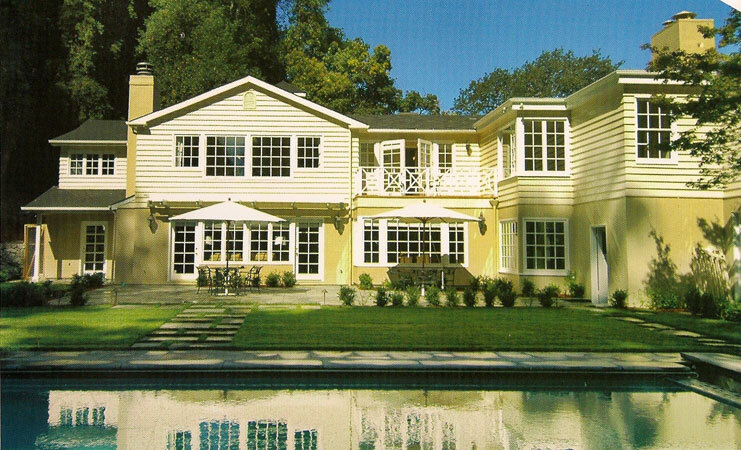 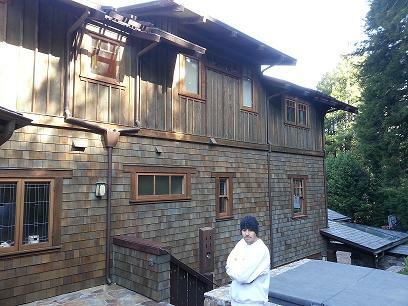 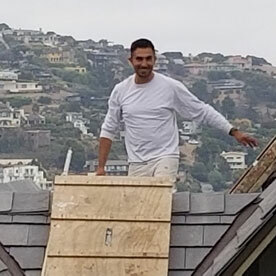 The project required extensive preparation, dry rot repair, and gutter/roof repair/replacement. 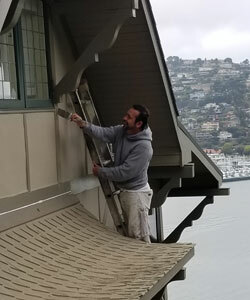 Because of the age of this building we implemented all the OSHA Lead Safety practices to provide a safe environment for both our painters and patrons/staff at the mansion. 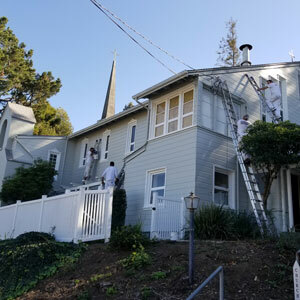 Our work has been featured both in the local newspaper "Falkirk Mansion in San Rafael Getting New Paint Job" and the Falkirk Cultural Center website. 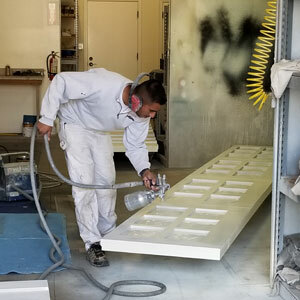 We encourage you to visit our Boeck Paint Official Facebook page where you can see numerous photos of the work in progress. 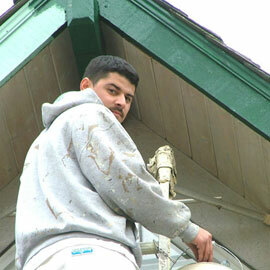 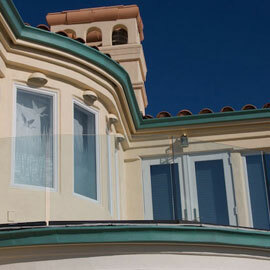 January 2011: We recently completed exterior painting job and our work was noticed by a local reporter. 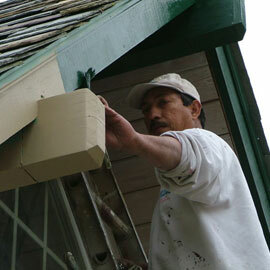 Check out the article Novato Community Center Freshly Painted for Winter. 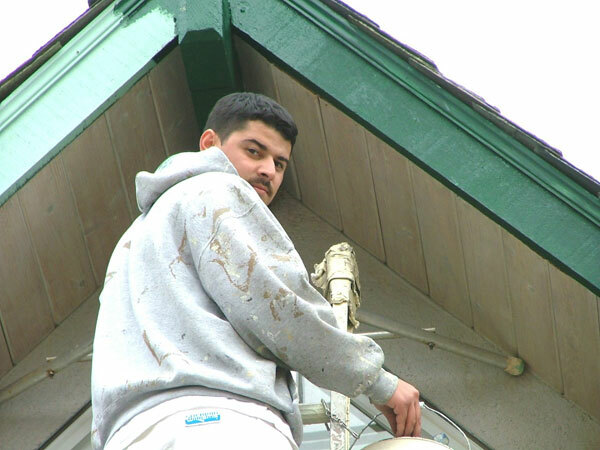 This is a picture of Nico painting a rendition of the original "Gravity Car" which was known as "The crookedest railroad in the world." 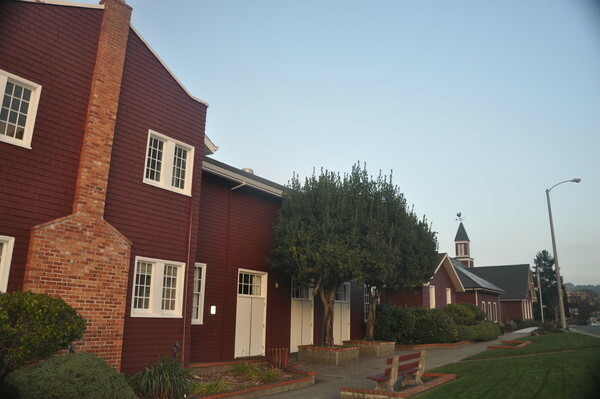 This railroad was used to transport people from Mill Valley up to the top of Mt. 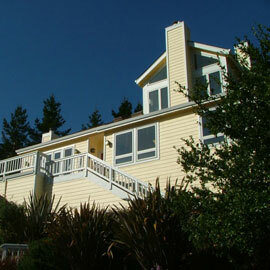 Tamalpais between 1889 to 1930. 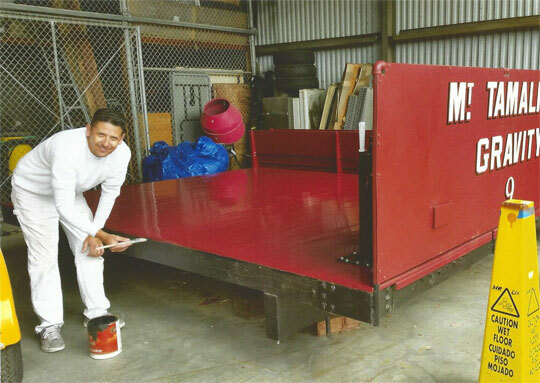 Our company was selected to refurbish and paint the railway car to its original color and condition. 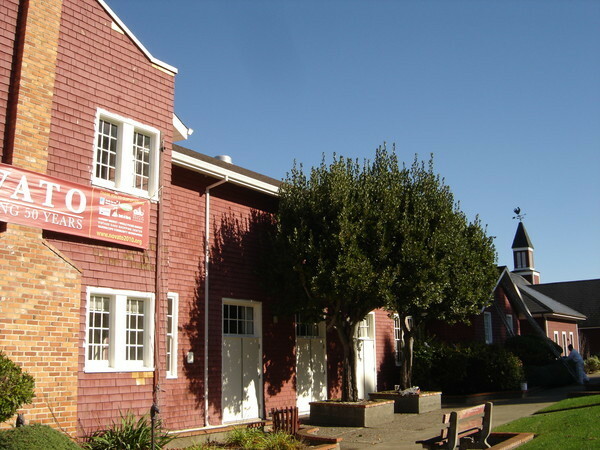 You can see the Gravity Car in downtown Mill Valley. 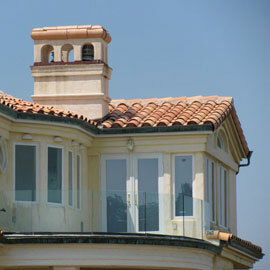 View projects completed in conjunction with General Contractors using the links below.